In my personal opinion, there is NO GREATER JOY than being used by God to change someone’s life for all eternity. Last night at Sports Camp, DOZENS of 3rd-5th grade kids committed their lives to Jesus Christ. PRAISE GOD! One of the Sports Dads, a man’s man, with tears in his eyes shared with me that he had the opportunity to lead two 4th grade boys to a saving knowledge of Jesus Christ. They were in his small group all week, and he said it was the first time he had ever led anyone to Christ. He would agree with me…there is NO GREATER JOY! He also wanted me to know that he is not a crier. I am not a crier either. Although, I have tears in my eyes as I type this blog post. Jennifer had the opportunity last night to lead Gabby to Christ. Gabby is a girl from the Path Project that Jennifer has been mentoring each week. She has lunch with her at school. Helps her with her homework. 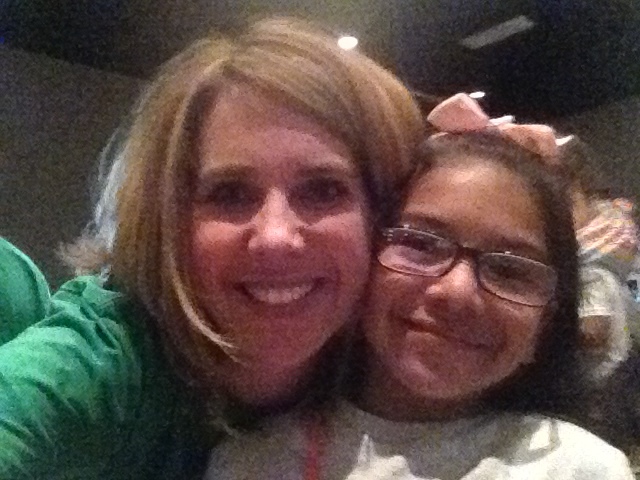 She picked her up all semester and brought her to kids’ small group at Graystone. Then, last night after many hours of loving, sharing and prayer, Gabby committed her life to Jesus. PRAISE GOD! My 15 year old daughter, Julia, had the opportunity last night to lead 2 girls to faith in Jesus Christ. I am so proud of her. She is beautiful inside and out. And guess what? If you served at Graystone Church for Sports Camp, then God used you to change DOZENS of kids’ lives for all eternity. Let it sink in. Because of you, a child is no longer going to Hell but will now spend eternity in Heaven with God. There is NO GREATER JOY! In fact, if you have given financially to Graystone Church in 2014, then God used your offering to give DOZENS of kids the gift of eternal life. Sports Camps is FREE for the community. But it costs Graystone thousands of dollars to pull off Sports Camp. The money comes from our regular tithes and offerings that we give each week. THANK YOU for giving. THANK YOU for serving. THANK YOU for praying. There is NO GREATER JOY than being used by God to see ONE person’s life changed for all eternity. Let’s celebrate today all that God did in and through Sports Camp. And may God have all the glory! I think it would be completely appropriate right now to stand up wherever you are and do the HAPPY DANCE! What is the next step on your spiritual journey?